CEBORA'S DOUBLE PULSED MIG/MAG 200 amp welding single-phase power source (inverter technology), with 2 wire feed units in aluminium (2-roller), with manual/synergic control panel with stored curves, electronic control of choke value, spot welding time and pause time. Trolley for transportation of the power source. Can be connected to the optional cooling unit. Comes with MIG torch, gas regulator and earth lead (3 m. - 25 mm2) and clamp. 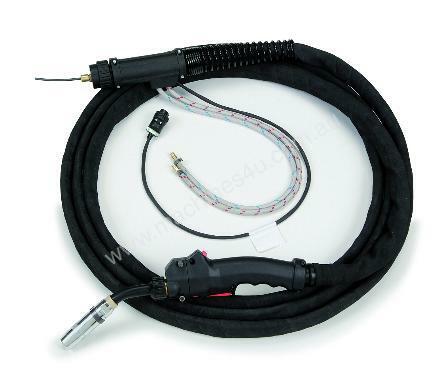 Optional Water cooled Push-Pull; up/down torch avaliable.